After I finished my breakfast. 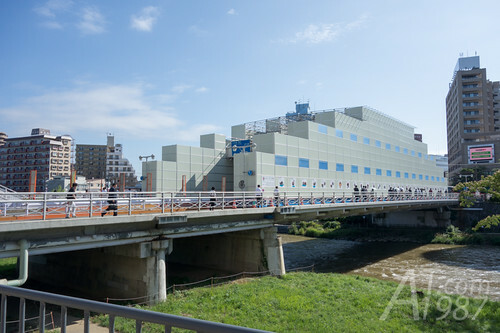 I began walking from the under renovated Kai-un Bashi Bridge to the other side of Kitakami River. 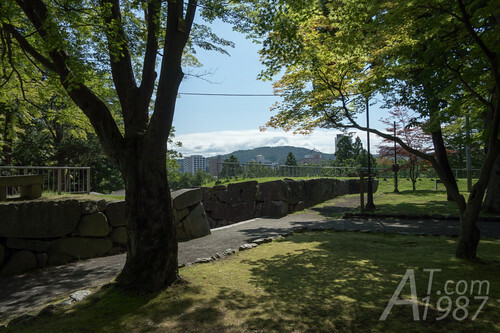 I walked for about 20 minutes to the first attraction Morioka Castle Ruins. Only stone walls are left and the site is made into the park. 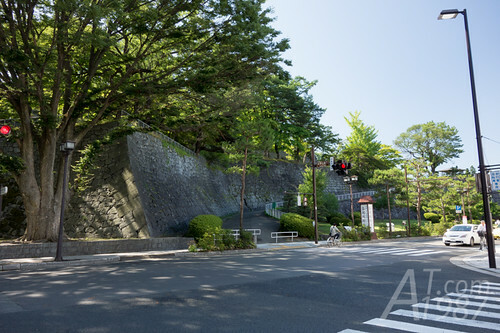 I walked uphill to the castle area. 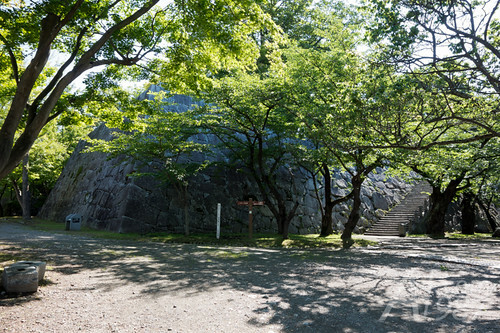 Then took the stair to Honmaru, the highest level of the castle. 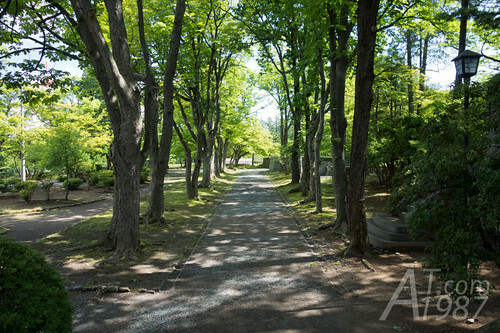 Honmaru is the area where the destroyed fort is original on. 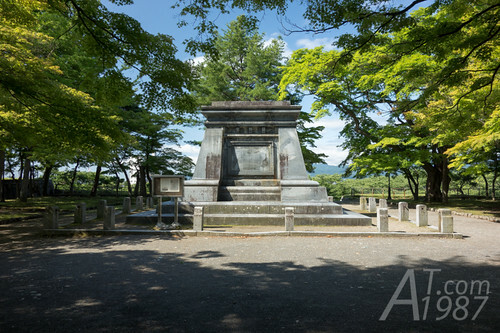 Then it’s the place for Nanbu Toshinaga Monument. He is the 42th head of Nanbu Clan. The clan who has the influence in this area. However the statue on the monument was melt down for material to make weapons during World War 2. 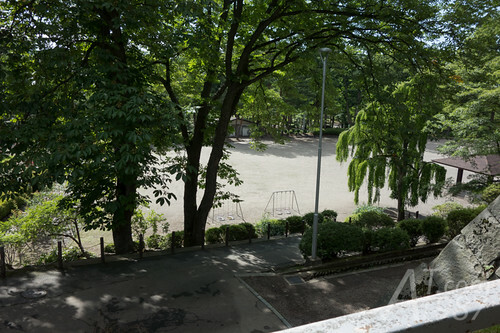 The base is left empty until now. 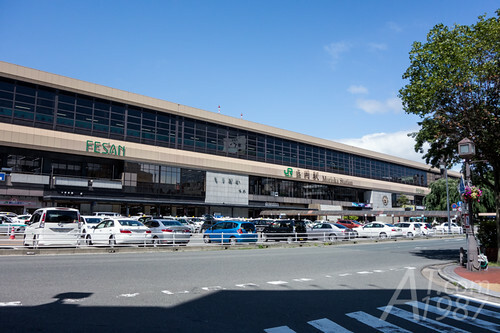 Mount Iwate should be seen from here. But the cloud was too thick. 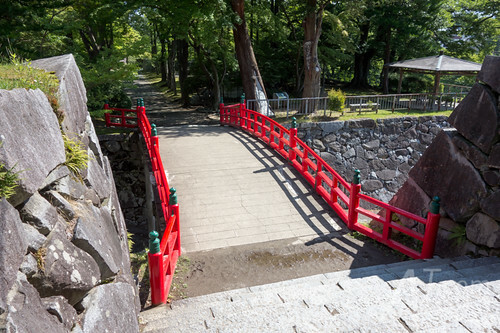 I walked across the bridge to the second highest level Ninomaru. There are some monuments around this area. Then I walked downhill to the below level.